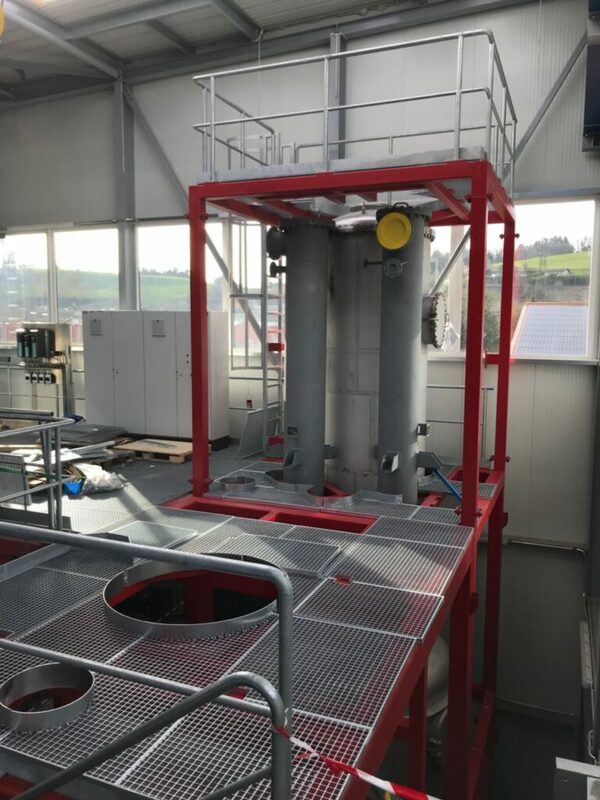 After successful commissioning and a very stable operation (since December 2017) of the plant with the ORC turbine, the erection of the construction phase is proceeding in parallel. 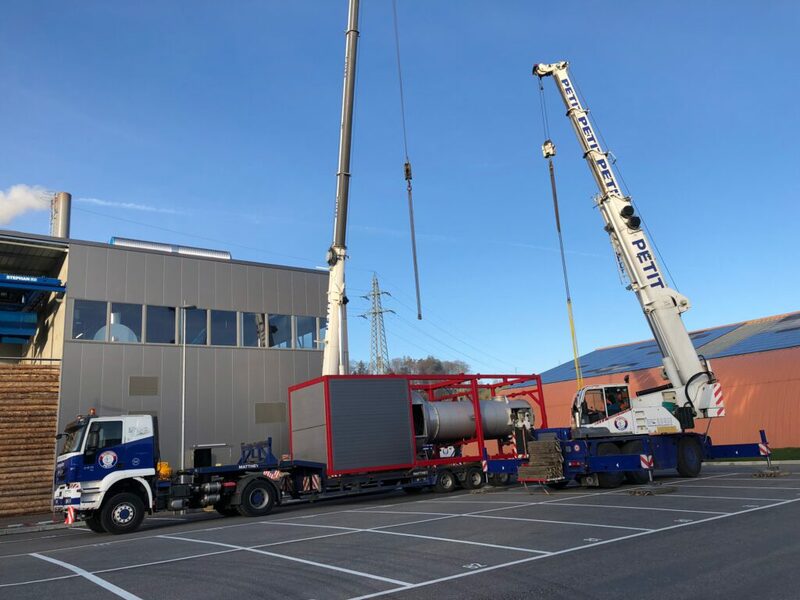 Here, our heating plant with the gas cleaning and the BHWK will be extended modularly so that additional electricity and heat will be generated. 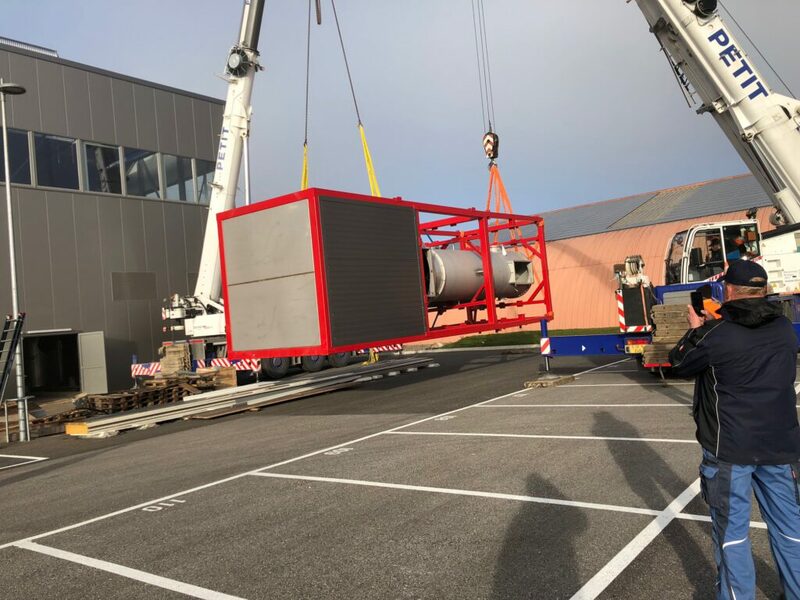 Here are a few pictures of the lifting of our BA2 modules.